Rose Otto Essential Oil (Rosa Damascena) - Sweetgrass&Rain Inc. 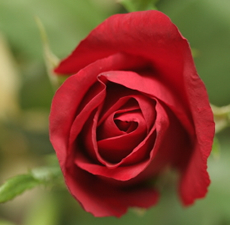 The rose is one of the world’s best known flowers - stunning and exotic in both visual appearance and aroma. Turkey and Bulgaria are currently the largest producers and approximately 4,000 kilograms of petals are required to produce 1 kilogram of pure Rose Oil. Its value was appreciated in ancient times by the Greeks, Chinese, Indians, Persians and Romans and documentation indicates that the medical applications of the oil were identical to those in use today. Otto is a Bulgarian word for 'oil' used to differentiate the steam distilled essence from the absolute. Labour intensive, the flowers are carefully hand-picked at a particular time of day when the fragrance of the flower is at its strongest. Rose Otto is more potent than the Rose Absolute, and if properly stored the aroma of the oil grows more intense as it ages. Rose Otto has a rich, sweet floral aroma close to the scent of the freshly picked flowers.